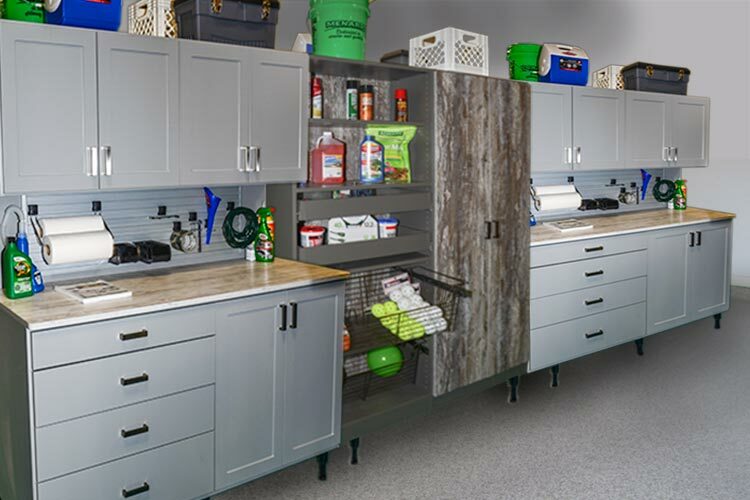 This garage functions as a workshop as well as a storage area for this Chicago area father & son team. Two identical tool benches create the perfect work environment, giving Dad the right workspace to mentor and evenually bring his son into the family business. 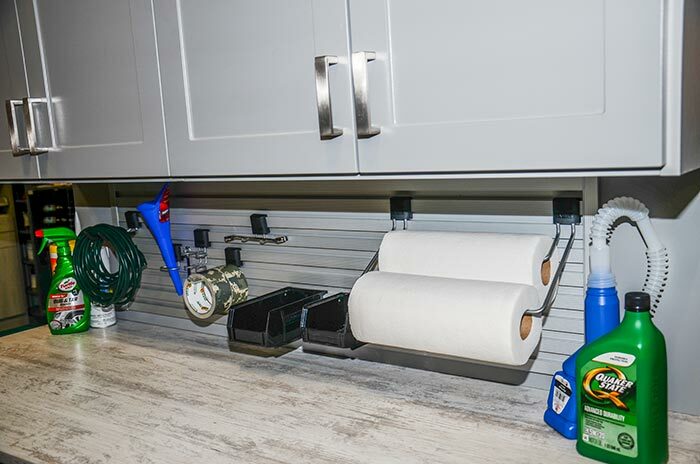 A storage cabinet stands between the two benches, defining the two separate project areas while offering a place to keep all the traditional bottles, balls and automotive equipment that is part of most garages. The rustic finish on the doors gives the space a masculine flavor, and compliments the natural stome countertops on the tool benches. 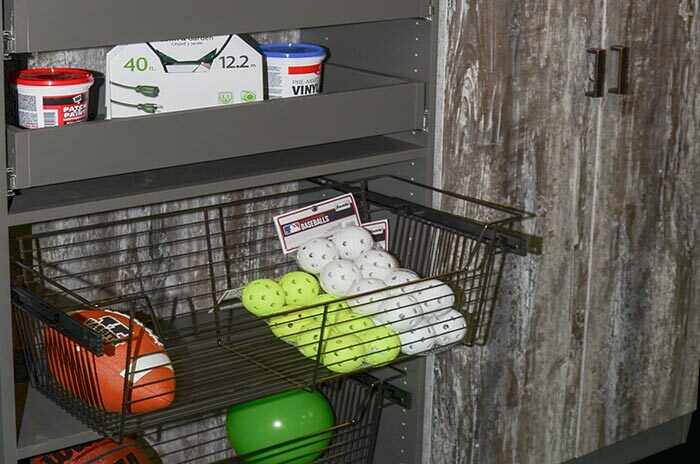 Double your productivity with two work stations and identical a center storage cabinet like this one!